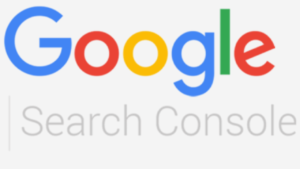 Should I Be Using Google Search Console? Should I be using Google Search Console, or not? If your affiliated with any kind of online business, there’s a tool for you to optimize your website, in the best way possible. Google Search Console, or “Webmaster tools”, is an all-in-one package for your website, that will monitor, and identify any problem within your website. You can score the top positions in Google’s search results, by using Google Search Console. Let’s see why Google Search Console is so important, and why your business may need it. 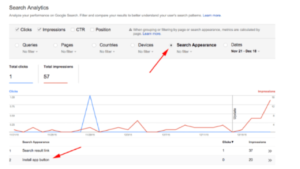 What is Google Search Console, and why does it matter? Google Search Console, is a free of cost, powerful tool, that provides insights about the data on your website. They help you monitor and maintain, and monitor it. It also helps to identify shortcomings, and issues within your website, and suggests ways to overcome them. This tool is important for people of almost all categories, including business owners, marketing professionals, SEOs, and Developers. Google Search Console provides you data from your own domain, that can help you optimize your website more efficiently. Previously, it was known as Google Webmaster Tools. It was rebranded in 2015 to be more open, and inclusive of various departments of the world of technology. This tool can help you significantly increase ranking, in Google’s search results. Keeps Website Healthy: Google Search Console identifies crawl errors, as well as issues in intricately structured data. It makes sure that all the different parts related to your website, are healthy, and are giving you the best possible results. Provides Rankings: This tool not only provides ranking numbers for your site, for a specific keyword. This tool also tracks the number of clicks, and impressions in the search result list. Gives Page Speed Insights: Google Search Console also includes a page speed insight tool, that gives you recommendations on how to increase the page speed, for a flawless, smooth experience. 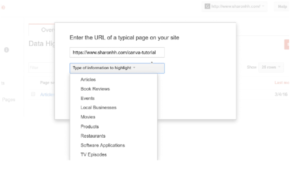 Provides Link Data: Google Search Console provides you with a list of links that connect to your website. The more links, the better you’ll rank within Google’s search results. However, in case of large sites that have numerous links, some links may not appear in the list. Points out Areas of Underperformance: It’s very difficult to keep track of the performance of various areas in your website, manually. Google Search Console gives you a detailed analysis of your site that gives you the opportunity to make it more efficient. Drives More Traffic: It is worth knowing that what keywords, and pages are giving you more traffic. This knowledge could help you optimize your site more accordingly. This tool provides you all that information in order to help you drive more traffic to your website. Gives Automatic Alerts: Google Search Console gives you automatic alerts when your site faces a major issue. It also notifies you on the provided email, to keep you up-to-date about the problems. This is a great feature for your website. It enables you to correct the issues as early as possible. Easy to Setup: One of the best things about Google, is that it’s services are quite user-friendly. A detailed, step by step guide is available, is available, as well as customer support. Identifies Technical Errors: Google Search Console flags those areas where it found technical errors, such as crawl errors, or duplicate title tags. These errors are disastrous for any website. So keep your space neat, and clean. Provides Google’s POV: Google Analytics, is a tool that is based off your users (or visitors) behavior. Google analytics basically provide the information of users visiting your website, there moves, and there actions. Monitors performance: If you want the performance of your website to be monitored, this tool can do that very efficiently. It will keep every area of your site well, in check. Job Posting Features: Now, you can also post jobs through this tool. You can post jobs for certain locations on site, and Google Search Console will handle this. Gives AMP Status: This platform also covers, Accelerated Mobile Pages (AMPs). You will be able to get the status of their performance any time. It’s a great tool for optimizing AMPs. Provides Index Status: This gives you a snapshot, that indicates the number of pages from your website, that exist in Google’s index. It is useful in identifying the spike, or drop issues in the indexed pages, which is usually caused by errors, or duplication. Identifies Broken Links (404 Errors): You’ll also get crawl error reports, on this platform. It shows the list of broken links, as well as the pages they’re linked to. Get those fixed, and keep your site up to date. Great Communication: One of the best things about this platform, is that they use streamlined communication. You can share errors within your team, with a single click. This feature helps a lot in the maintenance of a website. Gives Security Alerts: If Google detects any malware, or hacked code on your website, they’ll notify you immediately. After the problems detected, it’s very important for them to get your website fixed as quickly as possible. It’s a Must have for SEOs: Google Search Console, is a vital platform for SEO marketers, as it provides Google’s point of view of your site. It also provides tools and suggestions to fix any issues that are affecting the rankings of your website. It’s free of cost: The best thing about this tool, is that you don’t have to pay for it. All of it’s services are completely free of charge. It is the best thing that could have happened to the online business world. Having said these, Google Search console is a great tool for your business. It provides all the features, and tools that are required to monitor, and maintain your site in an efficient way. It also gives you suggestions on fixing the issues that your site might face. Surprisingly, all of this is free of cost. So, if you own a website, try this tool. It will help you run it smoothly, while bringing you the best results and ranking, the Google’s search engine has to offer. Looking for legit work online, instead? 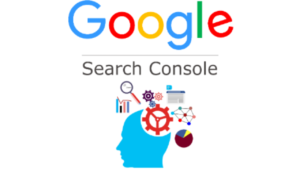 Do you have something to say, or to add about your experience using Google Search Console? Maybe some techniques or tips to add? If you do, please take the time and leave your comment at the bottom. I would love to hear it! Thanks for reading my post, and good luck with your success! Wix, not your ordinary website builder! !